'i do' it yourself: hello sailor! I thought this month we'd have a little haute couture inspiration for our wedding fashion. 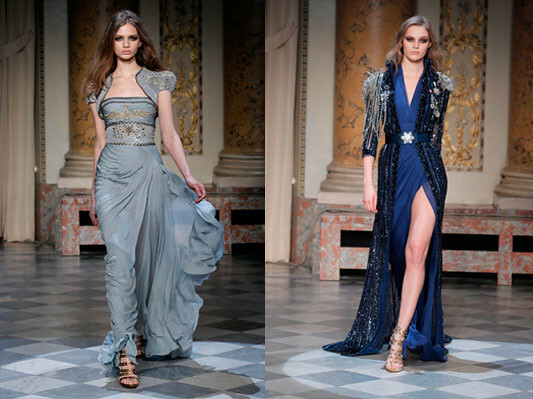 Zuhair Murad's Spring/Summer collection from Paris Fashion Week is spectacular. The Lebanese born designers latest work has a fabulous military feel to it which is just gorgeous for a nautical wedding. Most brides to be I'm sure will prefer a far more toned down version for their wedding dress, but think about adding elements such as sashes and brooches to your gown that hint at navy style.